1. We are a sitting duck. Because diabetes is a long-lasting condition that can be controlled but not cured, it is by definition a chronic disease. Scammers have plenty of time try to tempt us. 2. We represent a big audience for anyone who wants to get into our pockets. One of every 11 Americans have diabetes, a total of about 29 million people. About 21 million of us know that we have diabetes. 3. Diabetes is a growth industry. From 1980 through 2011, the crude prevalence of diagnosed diabetes increased 176 percent. 4. We know that we have to take charge of our health every day and can't rely on our doctors who we see only every few months. This do-it-yourself ethic leaves us much more vulnerable to unethical people who want our money than people with other health conditions who simply rely on their doctors. But we aren't helpless prey. We have an excellent tool that will protect us: our minds. In this post I am trying to add a few tips for you to consider. This post won't be telling you about the scams that I have encountered. For one thing, I have read literally thousands of these phony pitches. For another, some of the scammers operate on the basis that any publicity is good publicity. When you use the Internet to look for diabetes information, you need to consider the motives of the person publishing the information. We aren't trying to sell you anything here. Be especially careful of those websites that want to sell you something. 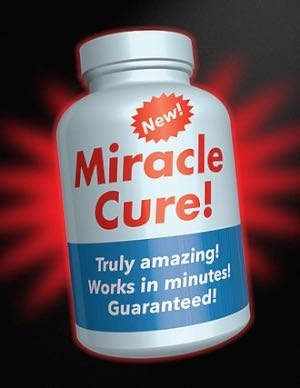 There are the hundreds or thousands of sites offering cures in exchange for your money. That's all too true. A website costs very little and yet offers a forum for the most vicious animals to sell their wares. The real dogs of the Internet are the cyberquacks. All of us have to understand the playing field and make our own evaluations. As in all research, the key is consistency. Is the information on the site internally consistent? Is it consistent with what you know of the world otherwise? For example, you have to know that a site offering an eternal life device for $99.95 stretches credibility beyond reason. But even less outrageous claims should not pass your smell test. Ads on websites or anyplace that promise too much generally deliver nothing. Don't buy any product that claims it can do it all nothing will stabilize your blood sugar, end your need for insulin, regenerate your pancreas, reduce your cholesterol, and cause easy weight loss. Be especially suspicious of anything that claims to be a "scientific breakthrough. " Researchers around the world have lots of good reasons to search for better treatments for diabetes lots of money, good will, and a Nobel Prize in Medicine included. Genuine scientific discoveries make news here and on the front pages of our newspapers. Health fraud costs Americans about $42 billion every year. But it's much more than money. "The hidden costs death, disability are unbelievable," says John Renner, M.D., a Kansas City-based champion of quality health care for the elderly. Use your good judgment to evaluate claims that promise that their product can cure diabetes. No pill, patch, tea, herb, or other "miracle" treatment can make your or my diabetes go away forever.